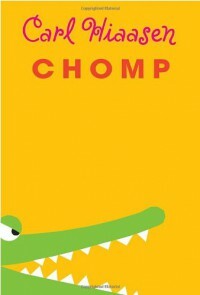 Just like Hiaasen's other children's fiction, this one is charming hilarious. The young protagonists are smart and funny, just like you would expect from Hiaasen. And they find themselves combating adults as they support nature, just like in his other books. But the journey is so charming that you can't help but enjoy the ride. I mean, with main characters named Tuna and Wahoo (female and male, respectively), how could this book not be charming and funny? And even though Tuna and Wahoo have to deal with some pretty unfunny situations (child abuse, for one), they do it with grace and humor, as you would expect.